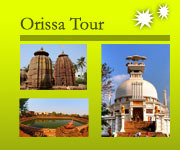 Tour program- which cover the most colorful chariot festival in the wonderful tribal part of Orissa , beautiful landscape , isolated ethnic village to western and costal part of orissa too. 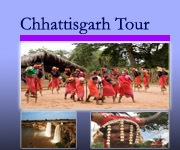 Tour program- our suggested itinerary cover the most colorful Dhanuyatra festival at Bargarh with the wonderful tribal part of Orissa , beautiful landscape , isolated ethnic village to western and costal part of orissa too. It is the festival of Mahima religion Sadhus (holy men) in the month of Feb. In their main monastery at Joranda near Dhenkanal annually. / there are groups of Monastries. 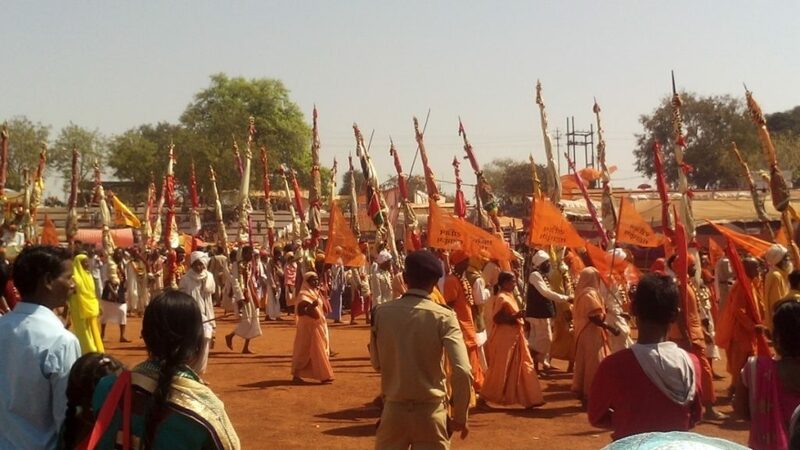 1) Gruha Tyagi- (Primery)- Those are students in preliminary stage they mediate and completely dedicate in this religion and the disciple of Supreme sadhus./ wearing saffron color two piece of cotton cloth. 2) Kaupuni Dhari- (Secondary) – after 12 years of dedication and disciple the supreme sadhu committee decided them to promote primery to Secondary/ wearing saffron color very lean cloth tie by organic rope on their waist to cover only the lower private part. Note : We can combine of Joranda sadhu festival in orissa tour with Rajim Kumbha Mela (Fair)Festival ( 19th feb .to 4th March 2019) in Chhattisgarh , because both fair are near by dates for more detail please call to us. It is a festival of classical dances of India performed at the backdrop of the 13th century Sun Temple, Konark. Which is held in an open air auditorium, showcases a magical parade of India’s classical and traditional dance forms annually? Besides the dance performances the guests will explore the language of stone of sun temple. Sand Art exhibition will be yet another attraction for tourists. This festival is held against the backdrop of the 11th century Rajarani temple in Bhubaneswar during the month of January. The ambiance is relaxing and uplifting. The temple has absence of any presiding deity so it’s like a monument. 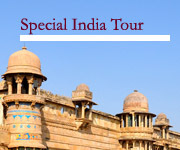 But famous for its magnificent statues of eight Digpalakas (guarding the eight cardinal directions of the temple). The musical evening’s performances by the great maestros of Indian classical music. Besides the Classical Odissi Dance Orissa is rich in folk dances also. A festival is organised at Sambalpur (western part of Orissa) for three days (from 4th – 6th Jan.)To present glimpses of folk dances of Orissa from different regions. The famous folk dances accompanied by rhythmic music, vocal as well as instrumental, keep the tourists (guests) spell bound. Another attraction of that festival is the dancers and the accompanists also present glimpses of the local handloom fabric through their costumes. A grand fair is held at Khandagiri near Bhubaneswar from MAGHA SAPTAMI (We inform you the date, because it’s in our Oriya calendar) for about a week. A variety of local handmade product, especially from the rural areas, is displayed for sale. During evening hours Indian classical and folk dances is also organised on the open air pandal. This festival has completely dedicate the legend Guru late Gangadhar Pradhan, this festival has established its own unique identity by the eminent artistes of national and international repute participate and perform Odissi, Bharatnatyam, Kuchipudi, Manipuri, Kathak, Mohiniattam and other classical folk & tribal dances/ music of our country on the enchanting stage of the Natyashala in the monumental Sun Temple, Konark. The stage and the atmosphere are magnified by the spiritual flavour, in the natural ambience. The Adivasi Mela has been exhibited each year by Orissa state govt. 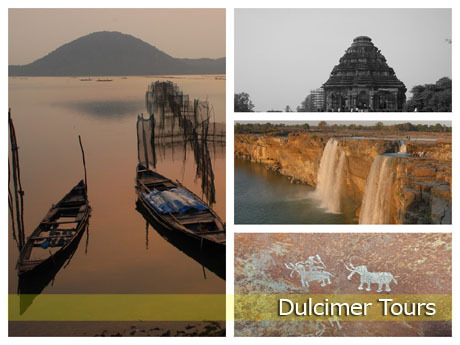 In Bhubaneswar, Showcases the art and craft of the tribal communities. The special highlights of the festival are the forest products and tribal products, exhibited and sold as well as cultural programmes presented by different tribal communities. It’s a dizzying dancing and dynamic stage presentation, is held at the hill of the famous Peace Pagoda. It showcases the vibrant traditions of martial arts India through a colourful display of dances and music. The calm and solemn statue of Buddha overlooking the entire stage from the top of the Dhauli stupa. The martial dancers interpret incredible the brave idea of kalinga through their different traditional weapons and thrill the audience. The aim of the festival is to harmonize the vigor of martial tradition with the display of peace through the art of dance. Dhauli Mahotsav showcases a wide range of rural art and culture from classical to folk items such as Odissi dance, Gotipua, Odissi vocal, chhau dance etc. Many artists from different disciplines perform on the different days of the Mahotsav. The event aim is to embrace many artists into its cultural fold and also at international cultural amity and harmony. Orissa is rich in tribal culture with 62 tribes; after a day’s hard work the simple tribes have host of dance forms to enjoy their life. With a view to unfolding this aspect of the tribal culture a festival of tribal dances known as “Parava” is organised at Koraput every year. The tribal dancers with their traditional costumes and typical head gears keep the tourists (guests) amused. 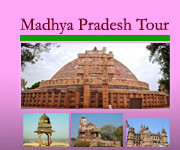 The aim of this festival is to display the rich tribal culture to rest of the world.